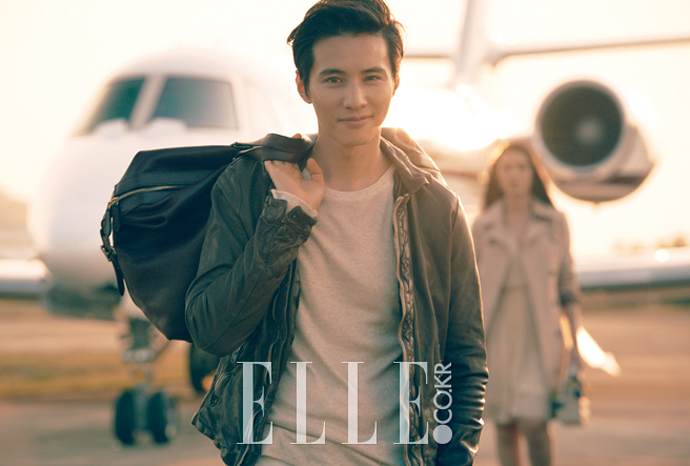 If there's anyone who should be representing a male skincare line, it would be Won Bin. 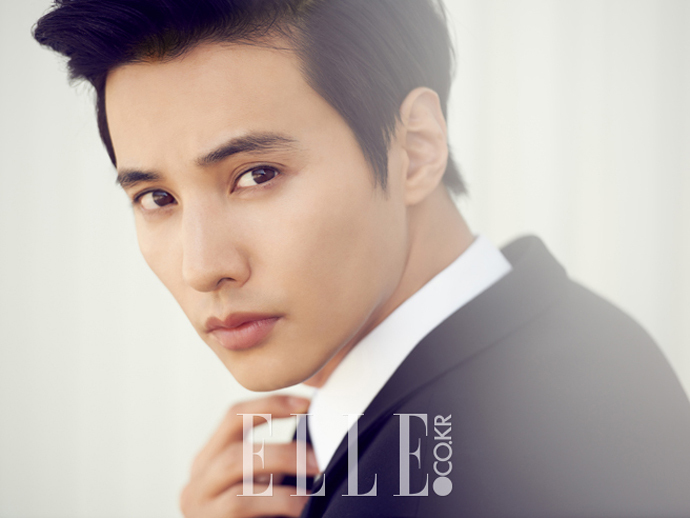 The dreamy 36 year old actor who has a perpetually youthful glow makes an appearance in Elle Korea as the face of Biotherm Homme. He shares his skincare routine which includes cleansing followed by toner, essence and lotion. He also mentions drinking plenty of water and applying sunscreen before heading outdoors. Pretty basic but I'd say it's working out quite well for him. Winning the genetic lottery probably helps too. He is a very beautiful men, and realy look very young! Happy Monday hun hope you have a great start of the week. 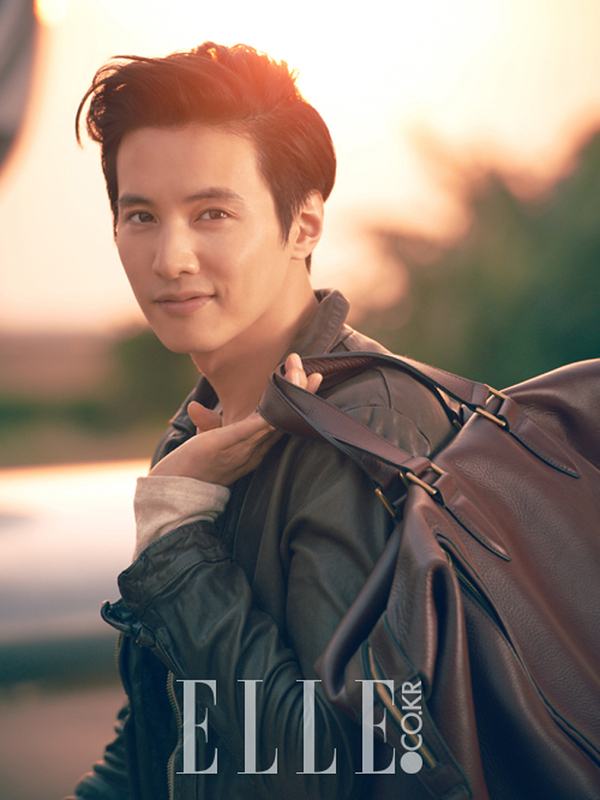 Well, hello there, Won Bin. How ya doin? He has perfect skin and so handsome great way to start a Monday thanks doll. Wow, his skin is unbelievable - almost too perfect! It reminds me a little of Jude Law's skin in AI (too smooth!) I hope you had a good weekend dear! that black and white photo of him is great! Gosh.... he's getting more handsome as he ages! He's really handsome. Can't believe he's 36! Haha so funny how men are taking on the habit usually reserved for women. But is a good thing! And yes very dreamy!! I could only wish for dewy, glowing skin like his :-) Jealous! He does have perfect skind and the photos represent this perfectly! He does have really nice skin! Reading his whole routine makes me think I should do a bit better. Genetic lottery indeed! He does not look 36. Nice post, I didn't knew him! I sure am envious of his youthful skin. Remember seeing him in the very first Korean drama "Autumn in my heart" loooong time ago. He hasn't really changed much. 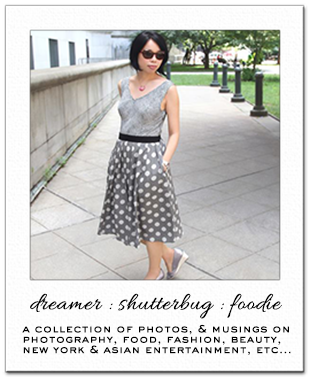 I feel like I should just go to Korea and rack up whatever they try to sell to me. Can't wait to someday go there and experience shock at how fantastic everyone's skin is.